How to get rid of moss: Step 2 - Remove the moss from the lawn Now that you have identified the possible causes of the moss, it’s time to remove it from the lawn. For a smaller area, a simple lawn rake will suffice. 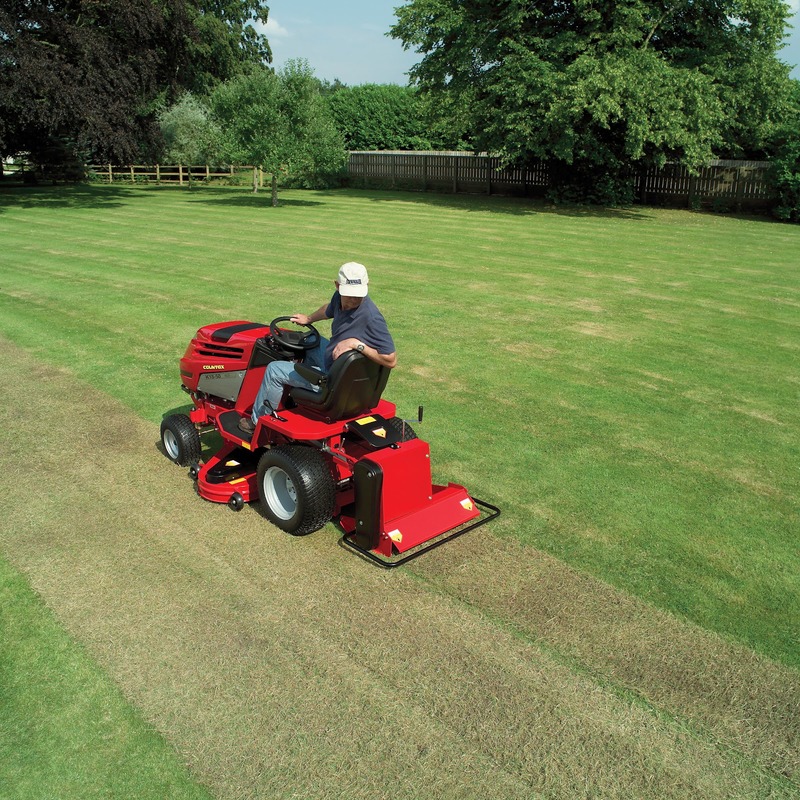 For large lawns, use a powered scarifier (either attach it to your lawn tractor or hire a walk-behind unit from your local hire shop). You can afford to be quite rigorous here - just make sure you rake out as much moss as possible. If the moss is severe, consider using a chemical killer. Consult with your garden centre on the best option for you. There are organic alternatives available. Word of warning: if the moss is prevalent, removing it will leave a bare patch behind - DONT PANIC! This bare patch was always present - it was just previously green with moss. Follow ‘Step 3’ and your grass can return greener and healthier than before. How to get rid of moss: Step 3 - Change conditions Now that the moss has been removed from the grass, you may be tempted to put your feet up. First, you need to change the conditions in your lawn to help your grass grow back healthy and strong. Spike your lawn. Use a garden fork to spike your lawn - The Gardener’s Journal wrote an article on how to do this. Again, there are tow-behind options for lawn tractors or powered walk-behind units you can hire. This process achieves two things. Firstly, it reduces compaction. The soil becomes looser and air can reach the roots of the grass plant. Secondly, it improves drainage. Water will drain away quicker. This improves growing conditions for your grass and makes life difficult for moss. If possible, reduce the amount of shade on the affected area. All gardens are different, but this might mean pruning back a hedge or removing a limb from a tree - use a chainsaw, hedgetrimmer or powered pruner as appropriate. In some cases, it’s as simple as moving a child’s trampoline or climbing frame. Change your mowing habits. Cutting too short can cause stress to the grass plant, especially if the weather is extremely wet or dry. Have the blades on your lawnmower set too low and you could be in danger of scalping the grass. This will leave bald patches that can be infiltrated by moss. Little and often is the trick. Look at the height setting on your lawnmower. If it’s set too low, raise it up by a couple of settings. If you mulch mow, consider collecting the grass clippings instead. A poorly performing mulching cutter deck may leave long clippings on the lawn. This can contribute to a mat of grass material, called thatch forming above the roots. Thatch can prevent light and water from reaching the roots of the grass. Consider applying a top dressing to the lawn. This will help stimulate new grass shoots and, over time, will begin to level out the lawn and remove any dips. 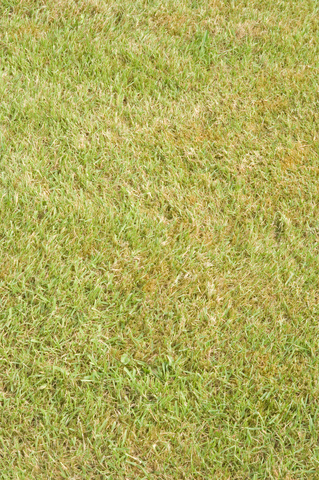 Follow these steps and your lawn should be in a good, moss-free shape! Let us know how you get on. thankyou for the info on moss. it works, i did it last year. my grass/moss area was to the north of a healthy and bushy yew tree. i turned the yew into a single stem 4 branch piece of topiary by cloud pruning. grass growing fine now the sun can get at the lawn. i hope others take note of your valuable info. R.H. I have more moss than grass, its going to be a big job. Once I've raked the moss up should I scatter more grass seed? What does applying a top dressing mean? Sorry I'm new to this! What is a top dressing? When is the best time to follow the 3 Step Programme? I have a lot of work to do. I assume the best time to do this is end of March and month of April. What's a suitable top dressing? Can you put grass seed over the bald patches left from removing the moss? A somewhat shallow review of moss control, no specific mention of chemicals and no reference to liming to increase the pH, probably the most important aspect especially after a wet year.